The MapR Certified Cluster Administrator credential proves that you have the ability to administer the MapR Converged Data Platform, including the installation and set-up of clusters, configuration, management, and troubleshooting. This certification exam tests your ability to perform a basic install using the MapR Installer, configuring cluster storage resources to a given use case, performing a typical data ingest, configuring the platform for data access and protection, and troubleshoot common problems. Details of what’s on the exam, exam logistics, including how to register for an exam day and time, specific exam objectives, sample questions, and additionally recommended study materials can be found in the MCCA Study Guide. 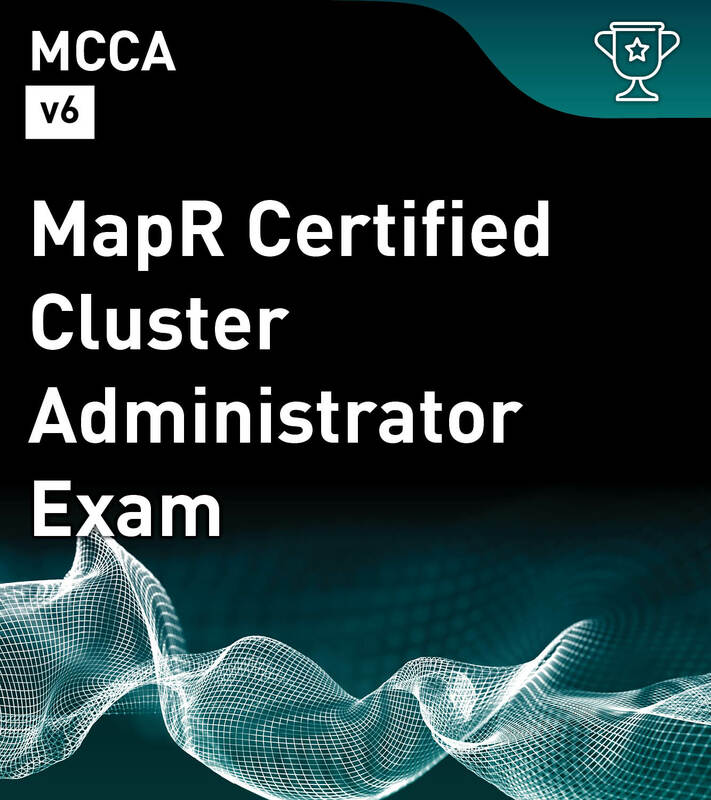 To learn more about this certification and register for the exam check out the MapR Certified Cluster Administrator on MapR Academy. For Certification policies, details of the program, and common questions please see the Certification Policies.